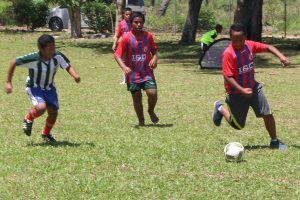 The Malie Soka kicked off for twelve weeks tournament at the home of football which occupied twenty communities through out Tongatapu for children of five years old to fifteen years old boys and girls. There are sixty five teams registered for only three divisions, and they are u 10, u 12 and u 15. The u 10 and u 12 are playing five asides, and the u 15 is playing seven asides and every team must mixed of boys and girls except for the u 15. The Just Play Project manager, Palu ‘Uhatahi and her team work hard on advertising the Malie Soka also they seeking sponsors to assist in running this tournament weekly. ”We went out to all the communities that involved in our program also we did reached out to some new communities, and we welcomed the new communities, ” ‘Uhatahi says. 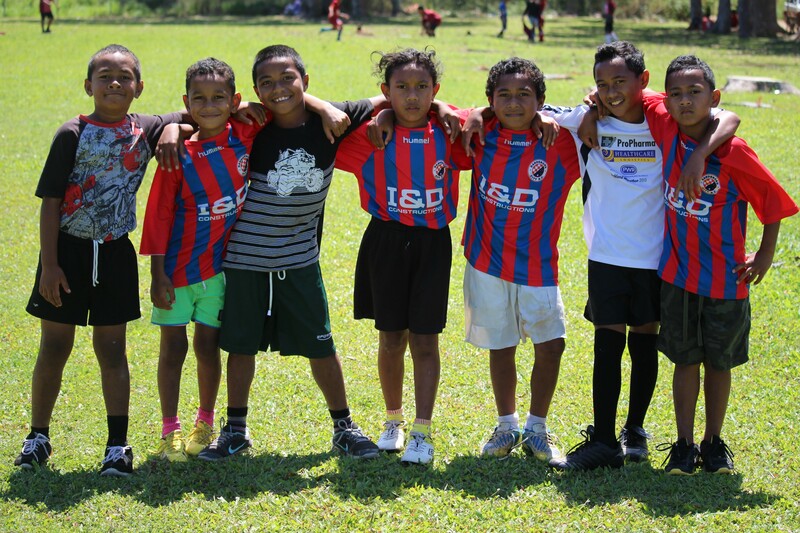 ”We urged the Malie Soka to play small sided games, and it’s really worked out. We wanted to stay the way we conducted the football festivals and Just Play acitivity and access to regular festivals as its important for players to develop their ball skills and passion for the game,” she added. ”As we all know, children at this grassroots phase need to learn ball control and start understanding the game, and everyone should have equal opportunity to play both during practice and games,” she said. Everyone on the field enjoyed their games even the new teams from new communities. ”I’m glad the parents are supporting their children and I enjoyed seeing them bringing their children to the home of football,” she added. Just Play Programme is a sport for development programme that helps children to grow, learn and explore through sport. Just Play gives a child a ball, a coach and a safe place to play. The programme shows children how to have fun with other children, be physically active and become confident in their abilities. Through the integration of social messages, Just Play helps children to develop healthy lifestyle habits, encourages gender equality and leaders in the community, promotes social inclusion and insists on sport for all. The Just Play Programme is designed and monitored by the OFC Social Responsibility Department in partnership with Australian and the New Zealand Governments, the Football Federation Australia, the UEFA Foundation for Children and UNICEF. For more information about OFC or its 11 Member Associations.